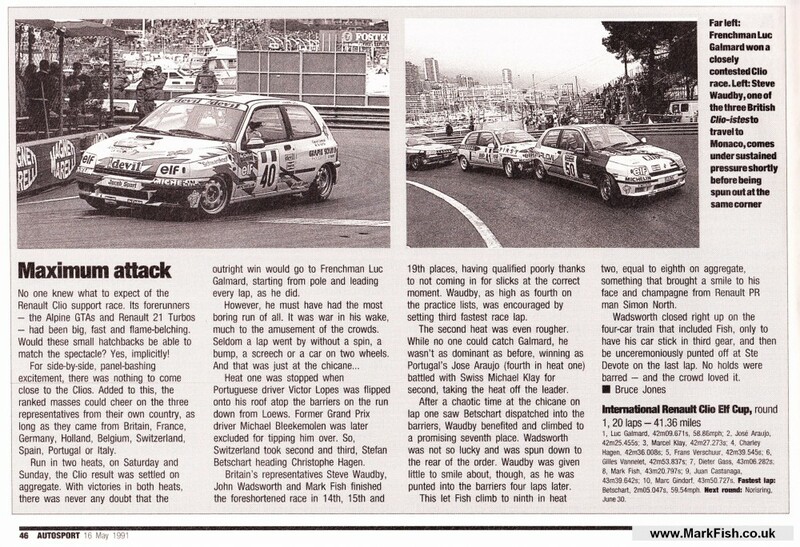 The first race in the new Clio Cup championship (Donnington Park 1991) gave the top three finishers a place in the European race at Monaco. 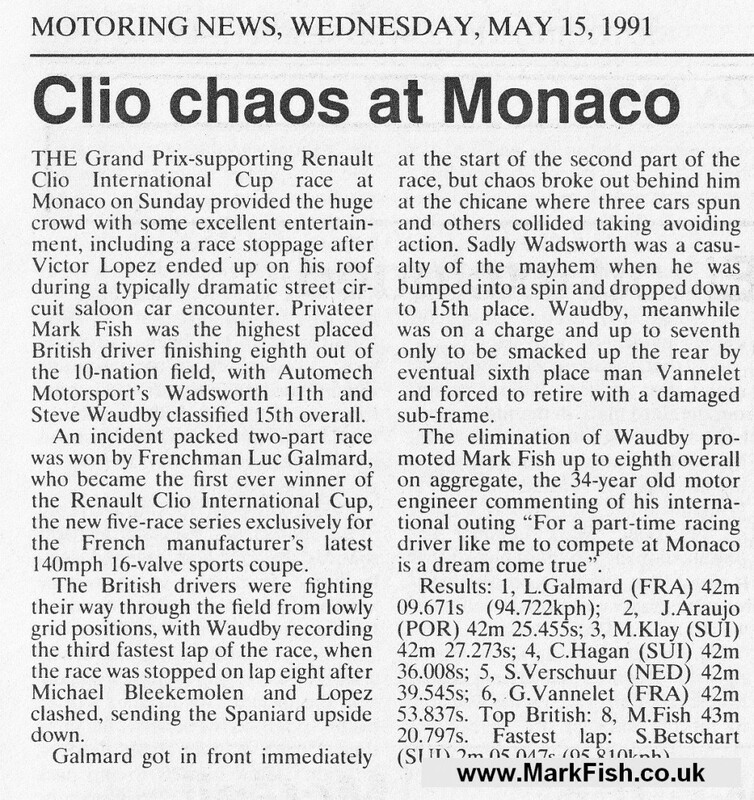 Mark Finished 2nd, so qualified for the race, which also included (potentially) the best three drivers from the other seven European series. 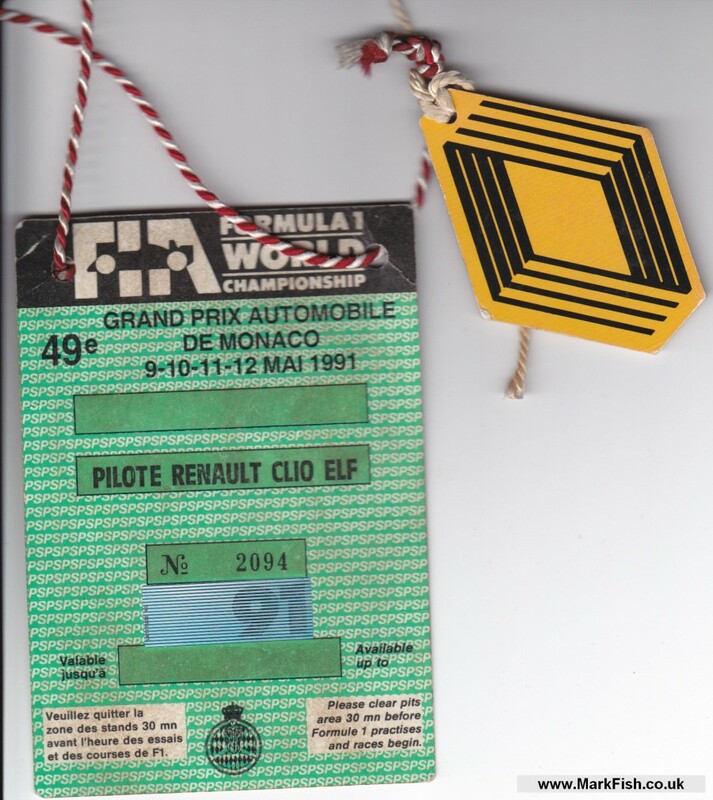 Mark finished the race 8th, the highest place UK Driver. 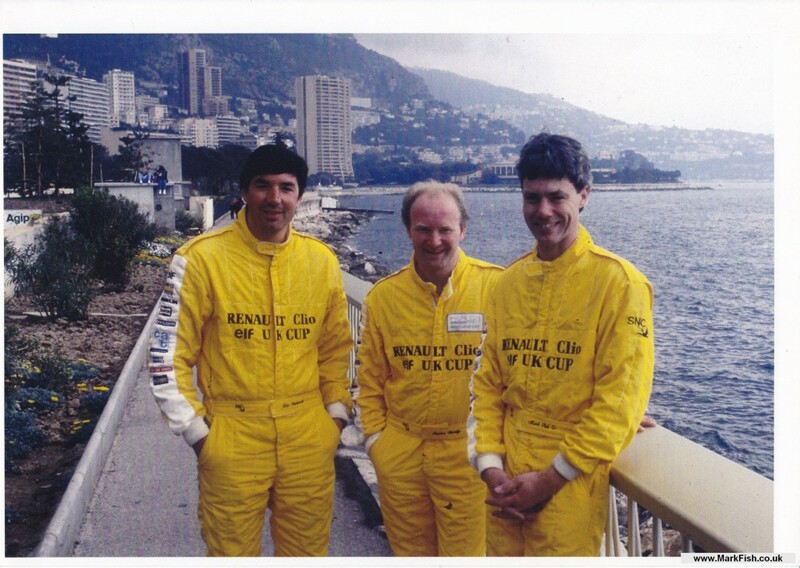 This was Marks ultimate racing experience and is very grateful for the opportunity Renault gave him and all the participating drivers.